Two of my favourite moths are currently on the wing. 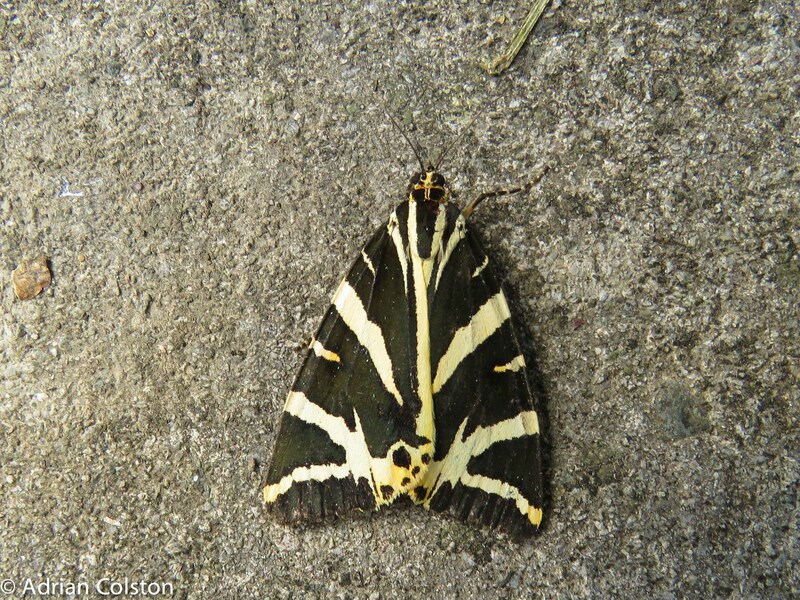 This is a Jersey Tiger that was in my trap last night. 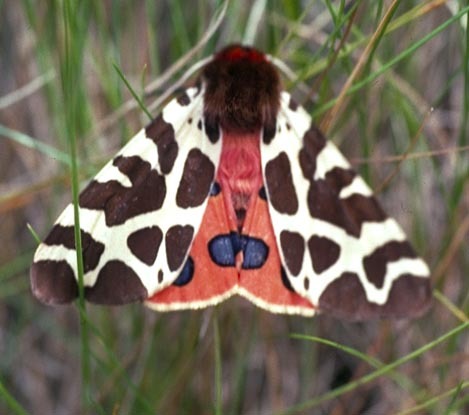 According to Waring, Townsend and Lewington in their Field Guide to the Moths of Great Britain this is a National Notable B species – meaning it occurs in less than 100 10 kilometre squares. 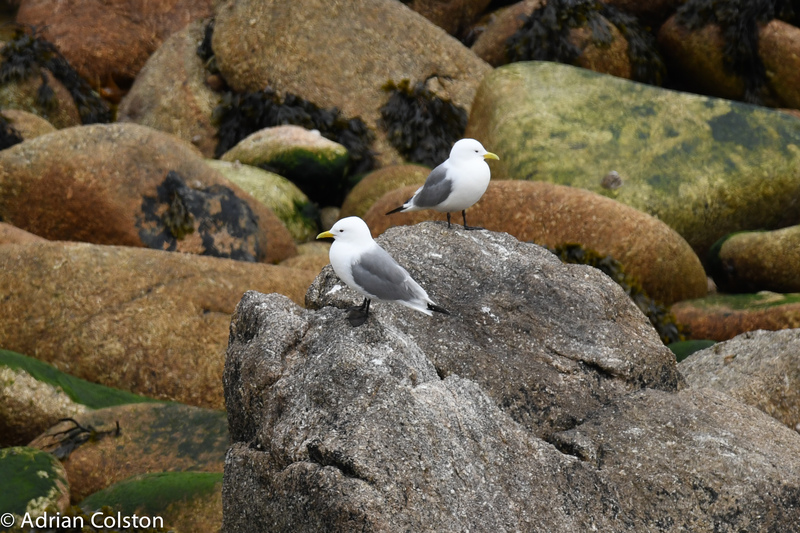 It is however common along the south coast of Devon and it has now spread up as far as Sussex. In some places such as Exeter it occurs inland. As can be seen in this photograph is has bright red/orange underwings. Again the species has bright red/orange underwings which act as a would be deterrent to potential predators. 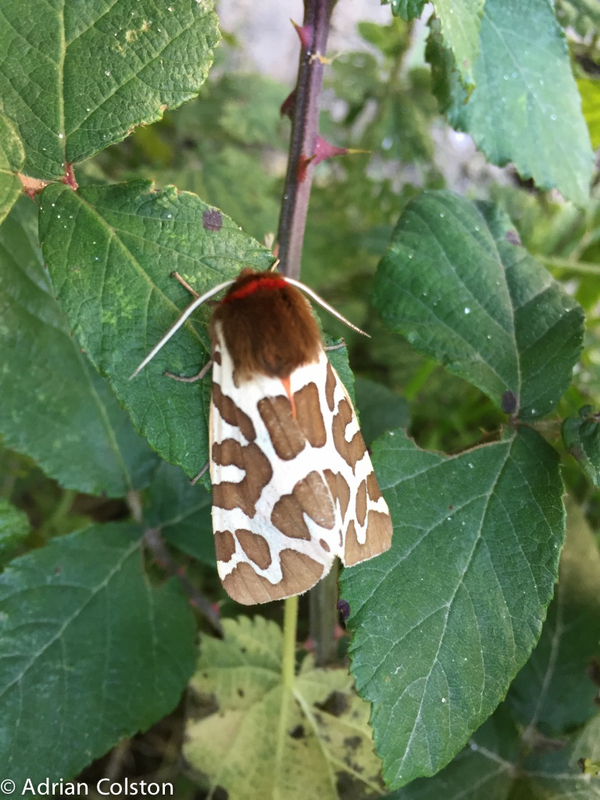 Butterfly Conservation has carried out some research on the status of the Garden Tiger – they found that between 1968 and 2007 the species had declined by 92% – a species in real trouble. 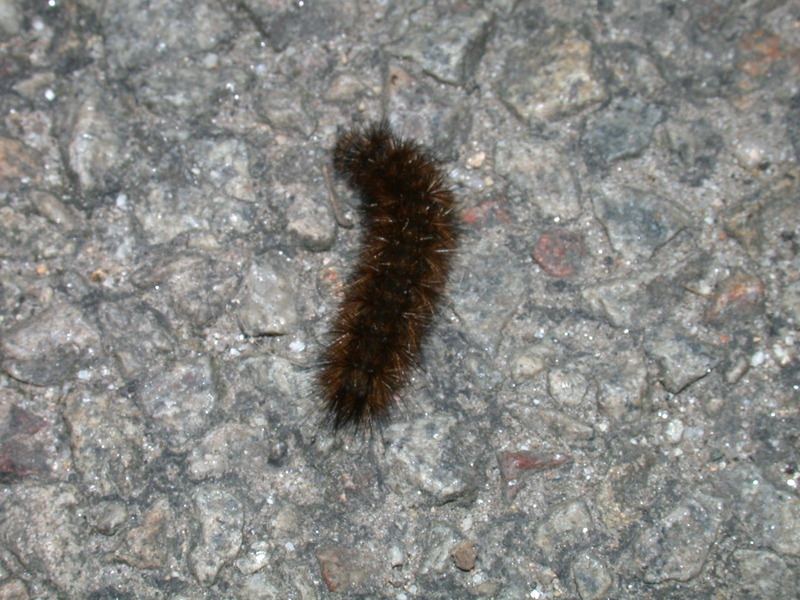 This is the caterpillar of the Garden Tiger – often referred to as ‘wooly bears’. These are one of the favourite prey items of the cuckoo which is another species in major decline. Work being carried out at Exeter University might show that the two are connected and that the intensification of agriculture in recent years has played a negative role. 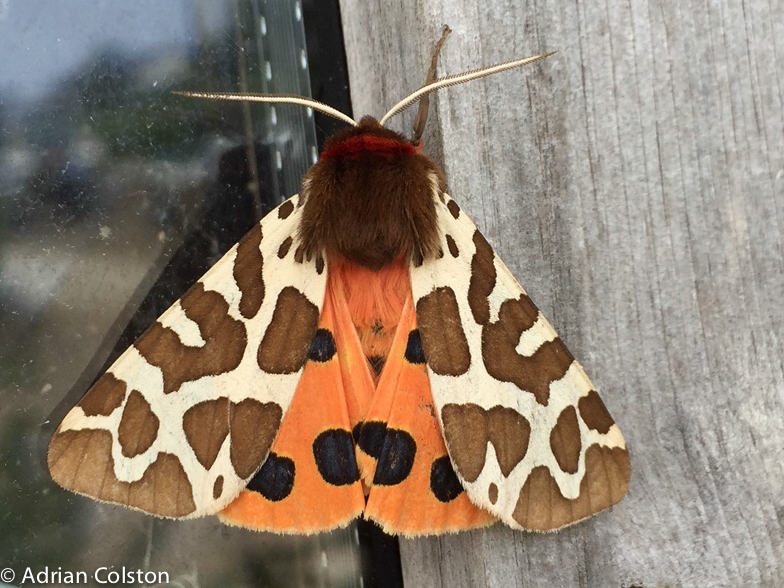 I’d be interested to know if anyone has seen a Garden Tiger so far this year? 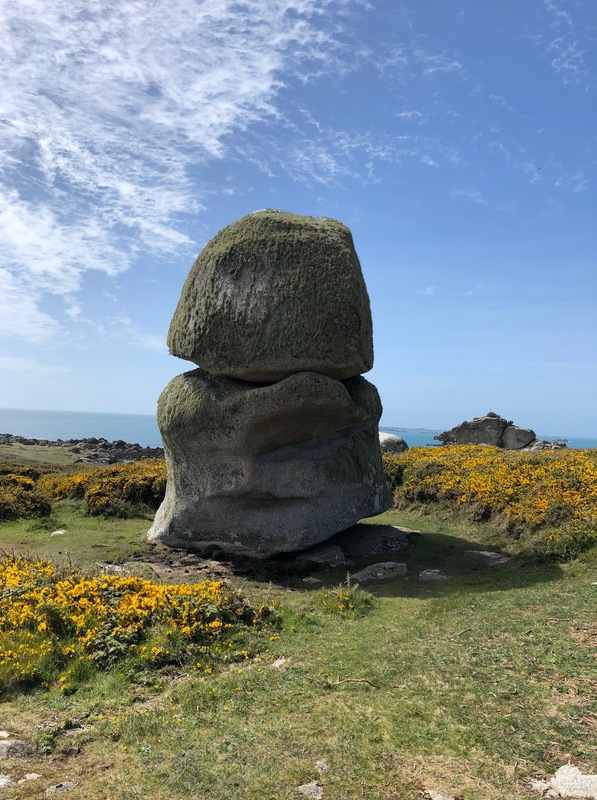 Following on my my two recent posts on cuckoos on Dartmoor (here and here) I have been in contact with Professor Charles Tyler and Dr Malcolm Burgess who are both co-ordinating and working on cuckoos on Dartmoor. 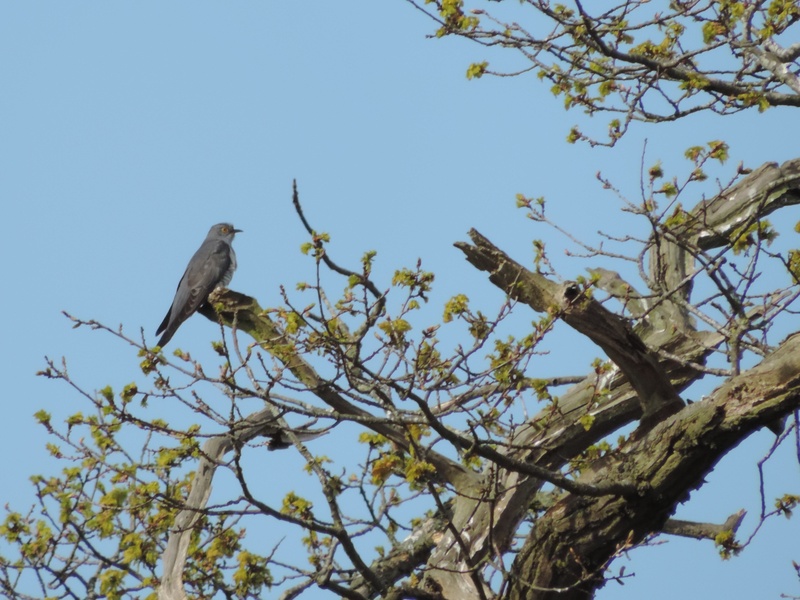 There are two new PhD students working on cuckoos, one developing molecular methods that can be applied to definitively identify cuckoo prey species from their droppings and the other studying ground nesting birds including the cuckoo. 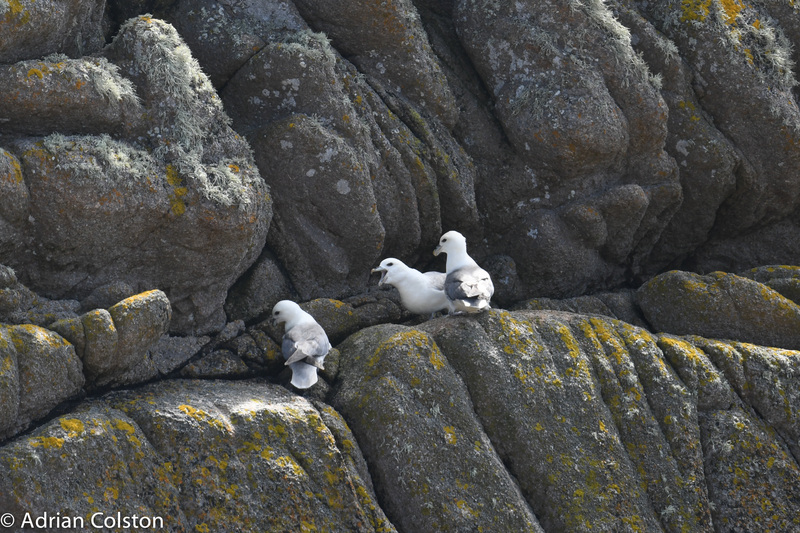 The second student is currently crowd funding so that the 2016 field season can be supported. Here the video setting out the aims of the project. And here is the link you can follow to support the project – go for it! 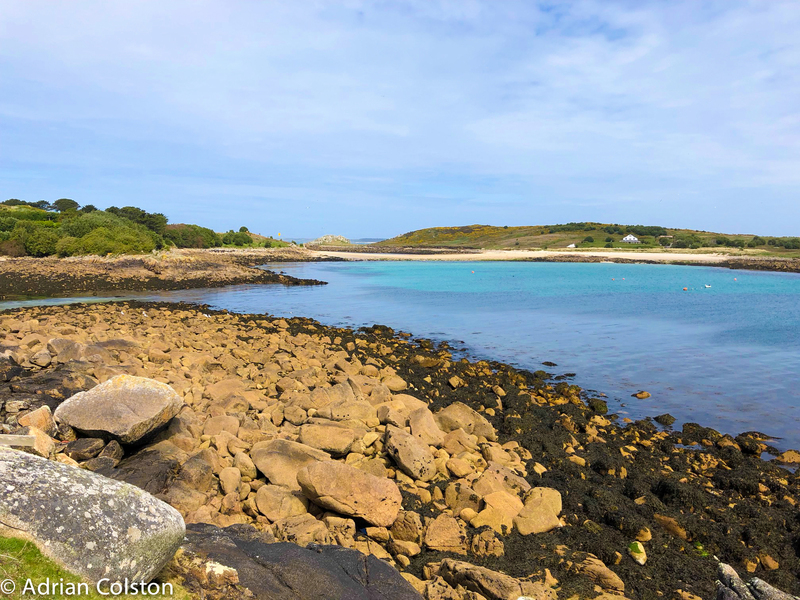 When I was writing Monday’s blog about cuckoos in Devon and on Dartmoor – see here I came across a reference about cuckoos I hadn’t seen before. 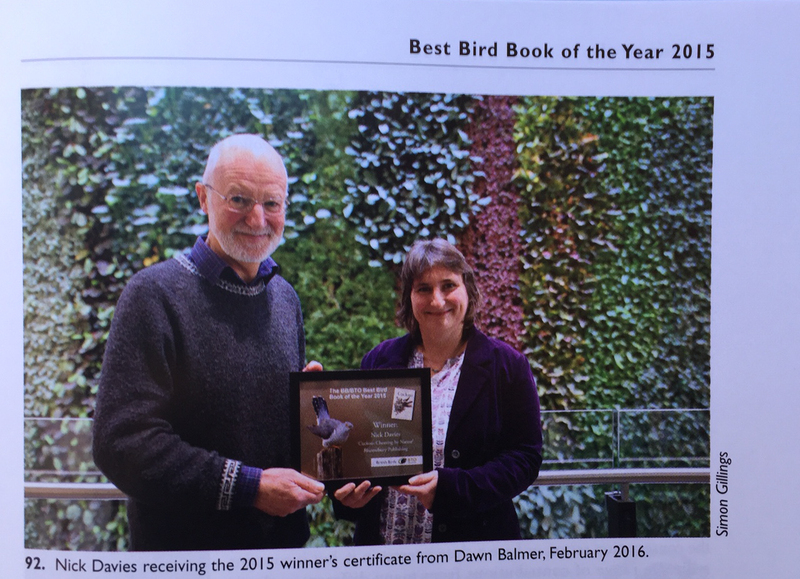 I found out via the internet that it referred to a PhD carried out by Chloe Denerley from the University of Aberdeen (funded by RSPB and Natural England) on the conservation and ecology of cuckoos in NE Scotland and Devon. 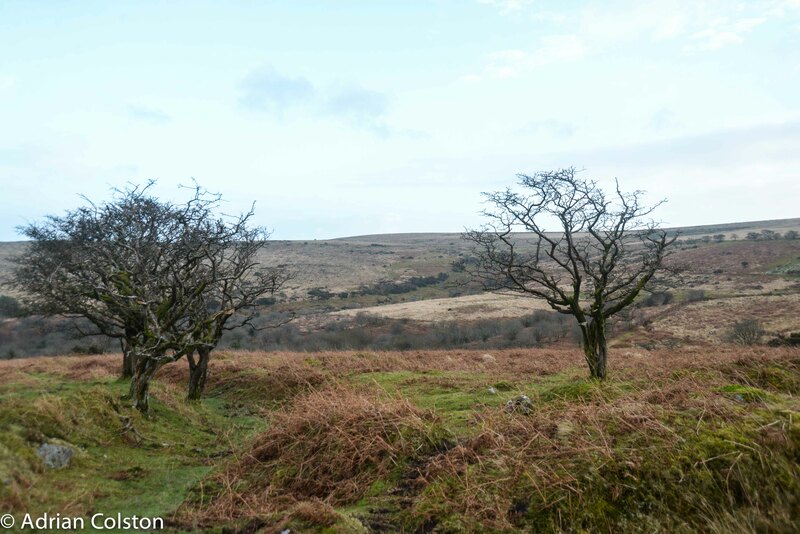 This blog is about that PhD and what it might mean for Dartmoor’s cuckoos – if you want to read here work you can download it here. It is a PhD thesis but it is surprisingly readable and the discussions are not too technical i.e. 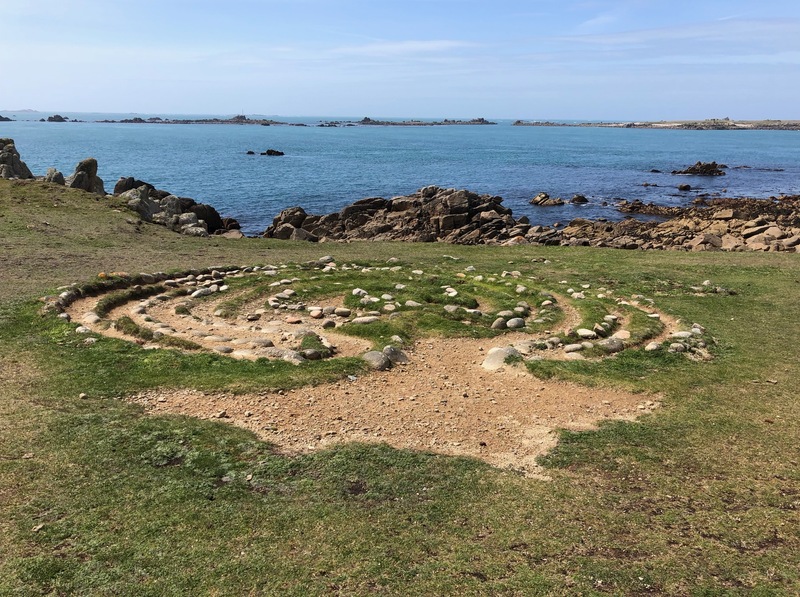 it is accessible to the interested lay person! 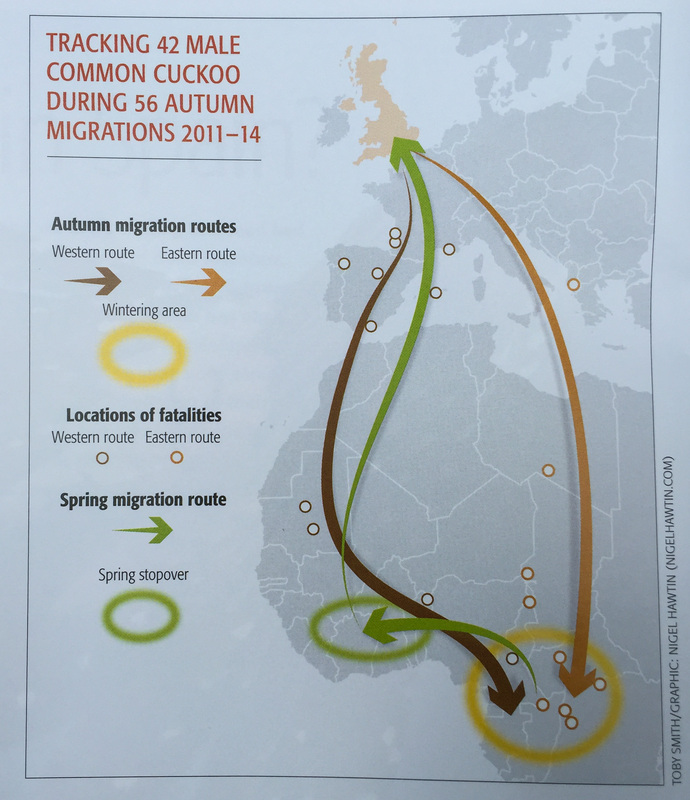 It is a very valuable, important and well conducted piece of research and I commend it to all those interested in the conservation of cuckoos. 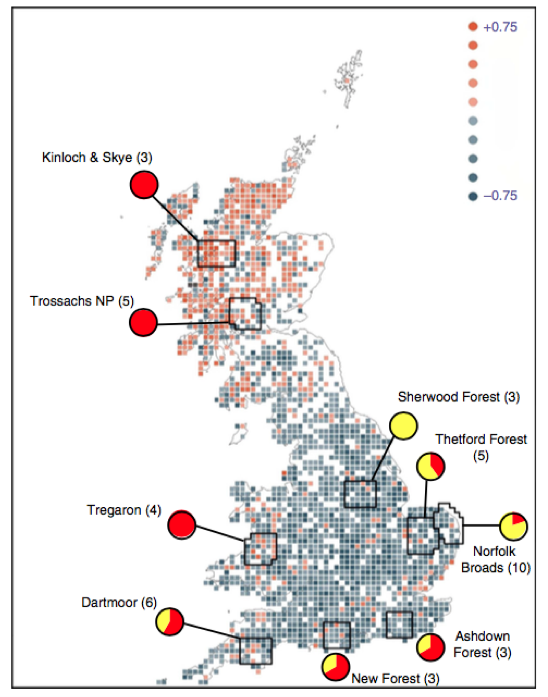 The studies areas as mentioned above are the heathy areas of NE Scotland and the lowlands and uplands of Devon. Trying to summarise a 200+ page thesis in a few paragraphs isn’t easy but I will try using Chloe’s ‘key facts’. Here conclusions below are in italics, my commentary isn’t. 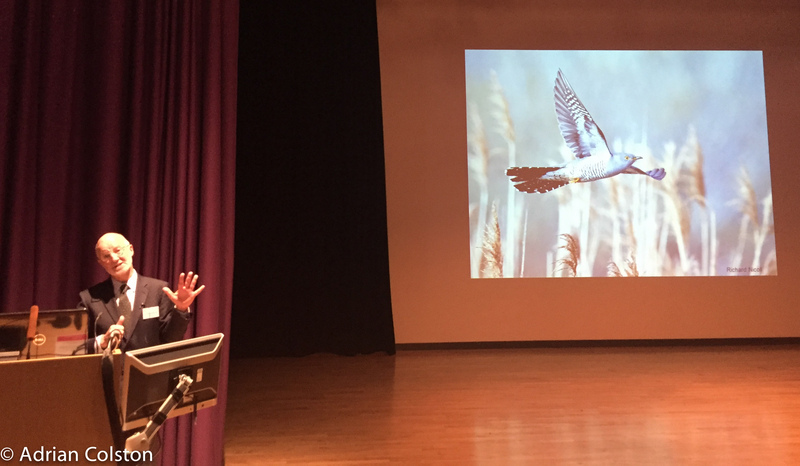 Cuckoos parasitise different bird species depending on the habitat – in semi-natural grasslands/heathland they lay an egg in meadow pipit nests, in farmland they parasitise dunnock nests and in wetlands they specialise on reed warblers. 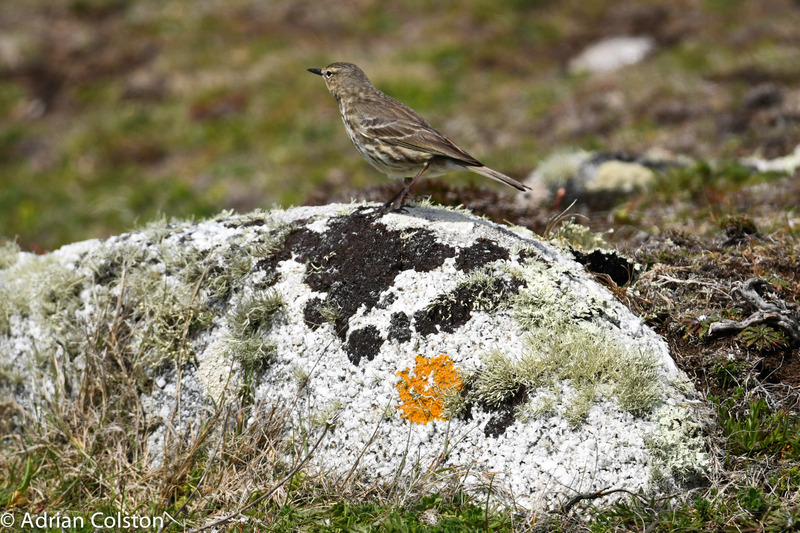 Meadow pipits and cuckoos are both associated with semi-natural habitats, making it difficult to untangle relationships between them. The probability of cuckoos being retained increases with dunnock abundance and reed warbler presence where semi-natural cover is low. 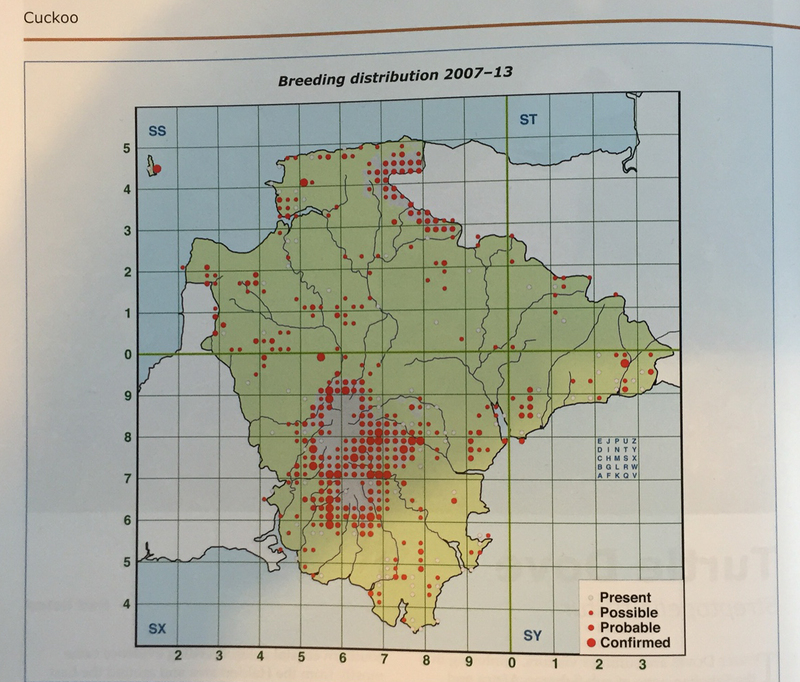 when meadow pipits are common the chance that cuckoos will breed successfully is higher (meadows pipits have declined in Devon since the 1977-85 survey compared to the 2007-13 work from 812 tetrads to 458 tetrads. Meadows pipits on Dartmoor have declined a bit but are still common. In the ‘lowlands’ cuckoos do best where dunnock populations are high and reed warblers occur – that doesn’t occur in many places e.g. 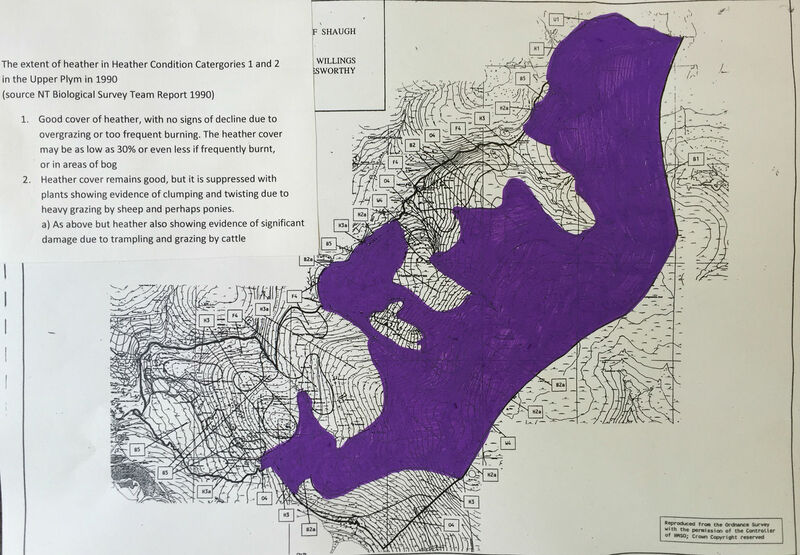 Slapton Ley? 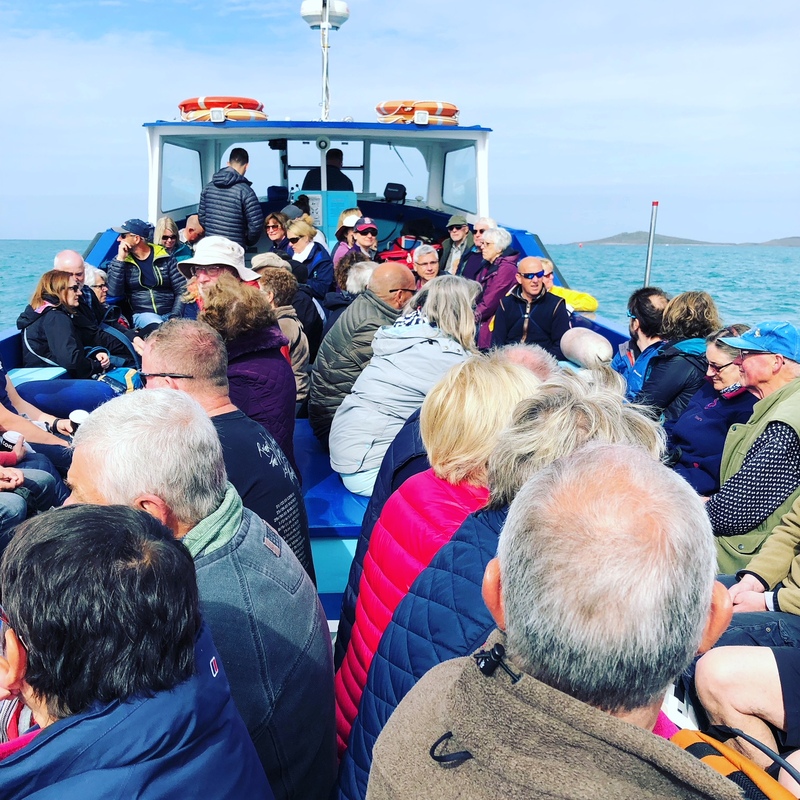 Cuckoos that parasitise dunnocks, for example, are genetically programmed (because of egg mimicry) to only parasitise dunnocks, the same applies to meadow pipit cuckoos and reed warblers cuckoos – these species specific cuckoos are known as ‘gens’. 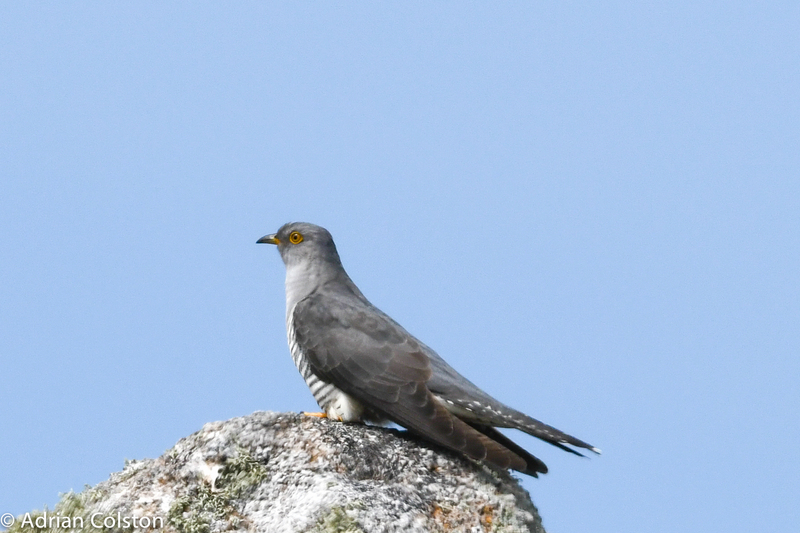 As the ‘dunnock dependant cuckoos’ have declined so much in Devon they may now be scarce and unable to re-populate the countryside if conditions improved. The decline of the cuckoo does not appear to be associated with the abundance of meadow pipits (in semi-natural habitats), dunnock or reed warblers. 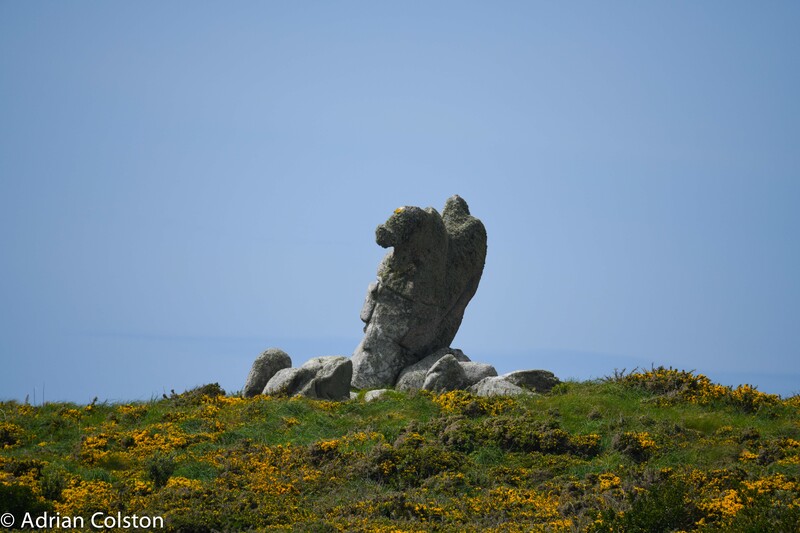 Where countryside is open and treeless cuckoos cannot view the terrain and find host species or prey. 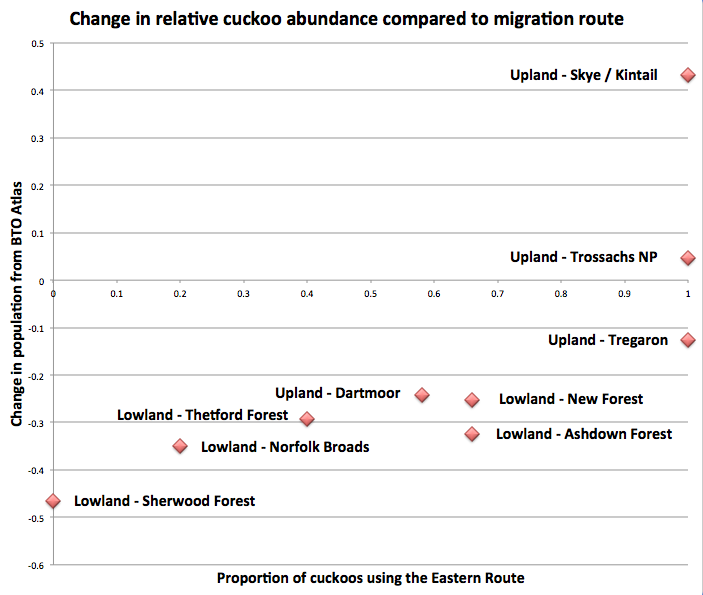 Cuckoo populations have crashed in lowland Devon where agriculture is intensive i.e. 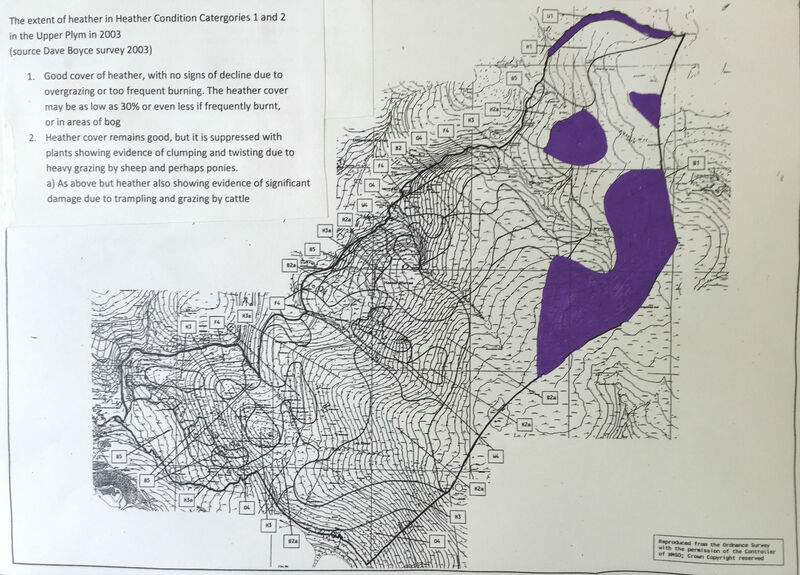 most of it …… lowland Devon is now an intensive agricultural county. 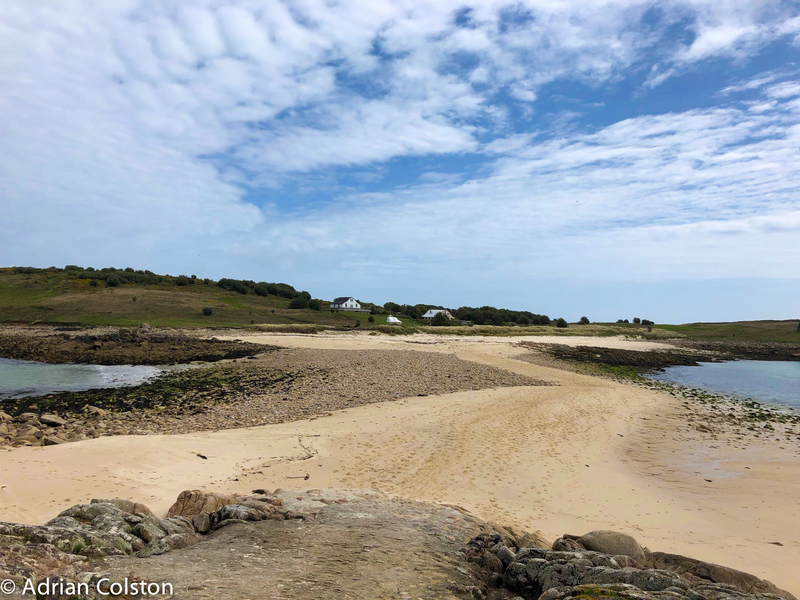 The major conclusion of part 1 of Chloe’s work tells us that the presence/abundance of host species – meadow pipits (at least in semi-natural habitats) , dunnock and reed warbler is not responsible for the decline of the cuckoo. 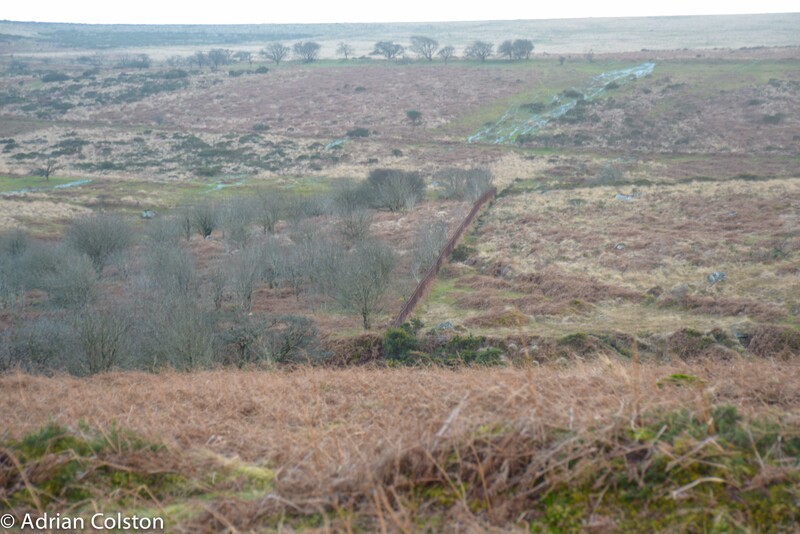 The loss of the meadow pipit in lowland Devon though, through agricultural intensification may well have played a part. So …. if it is not the host species perhaps it is the food of the cuckoo – the so called ‘cuckoo prey’. Changes in moth abundance vary by habitat. 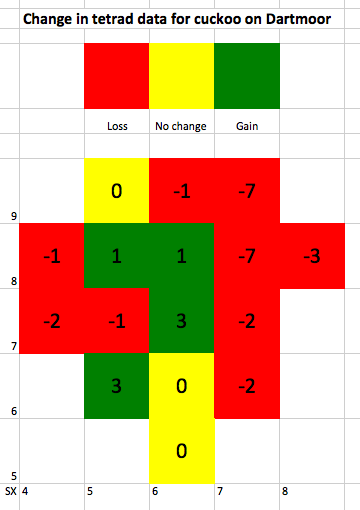 The steepest declines have occurred in improved grassland and woodlands, while abundances in semi-natural habitats have increased slightly. Cuckoo prey species of moth have undergone greater declines than other moths. 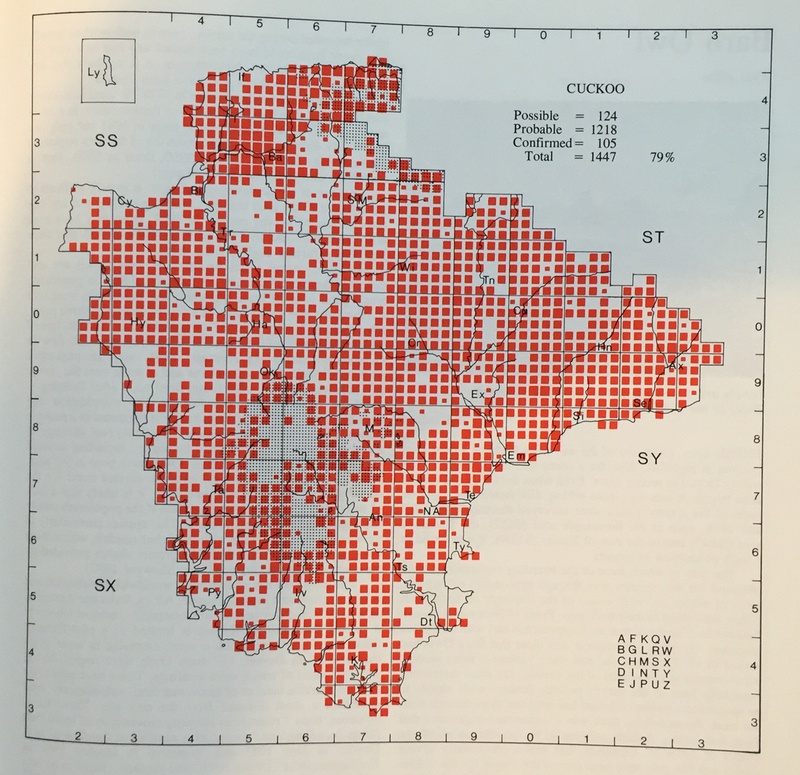 The probability of cuckoo presence increases with the abundance of moths known to be cuckoo prey. 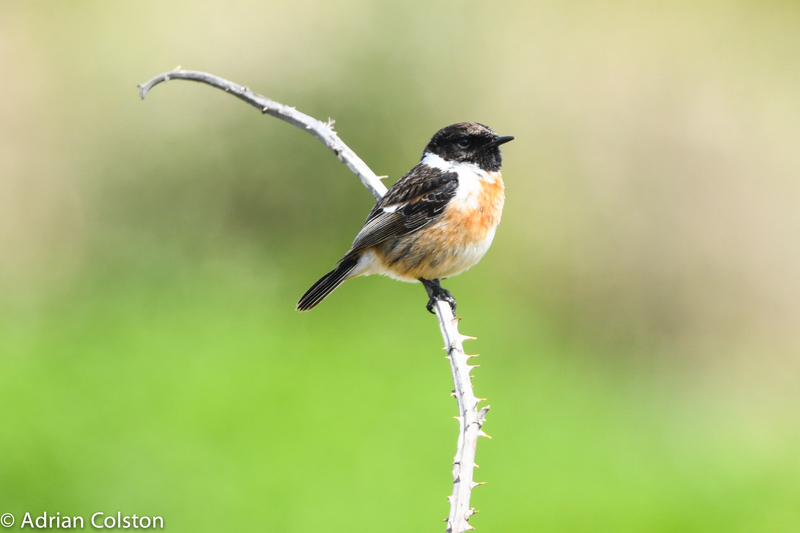 This work is extremely interesting – basically, intensively farmland throughout much of Devon no longer supports enough large hairy caterpillars and as a result there is not enough food for the cuckoos to eat – therefore they are now absent. 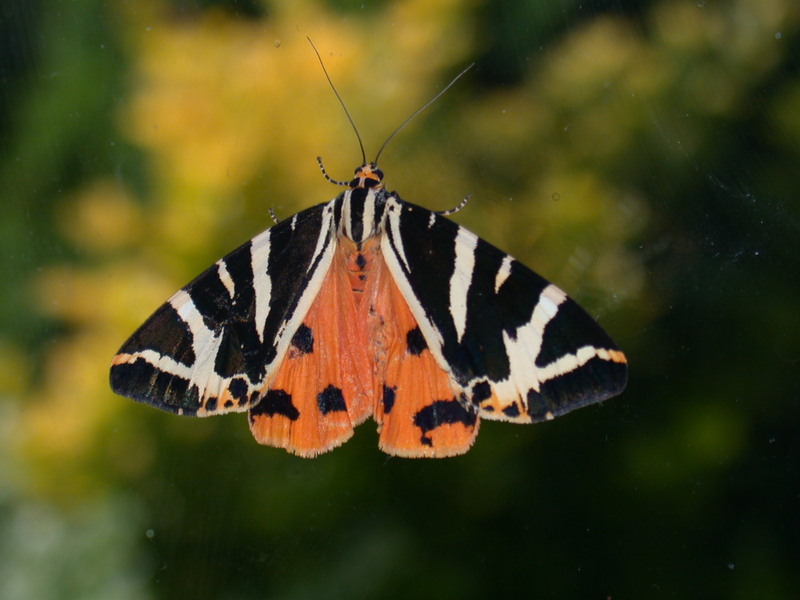 Butterfly Conservation published a report in 2013 – The State of Britain’s Larger Moths and this showed a number of species of moth had declined by over 75% between 1968 and 2007 – one of these was the Garden Tiger which had declined by 92%. The caterpillars of the garden tiger are known as ‘woolly bears’ and are thought to be one of the staples in the diet of England’s cuckoos. 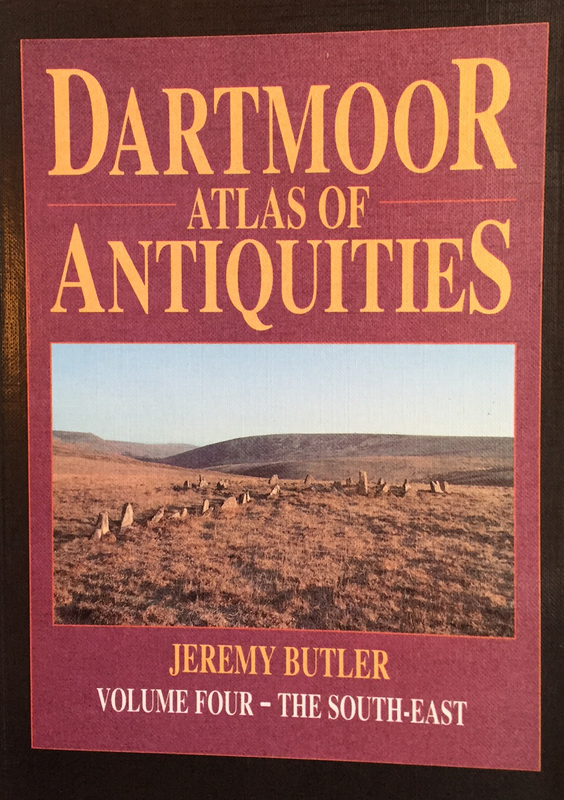 So what does all this mean for Dartmoor? 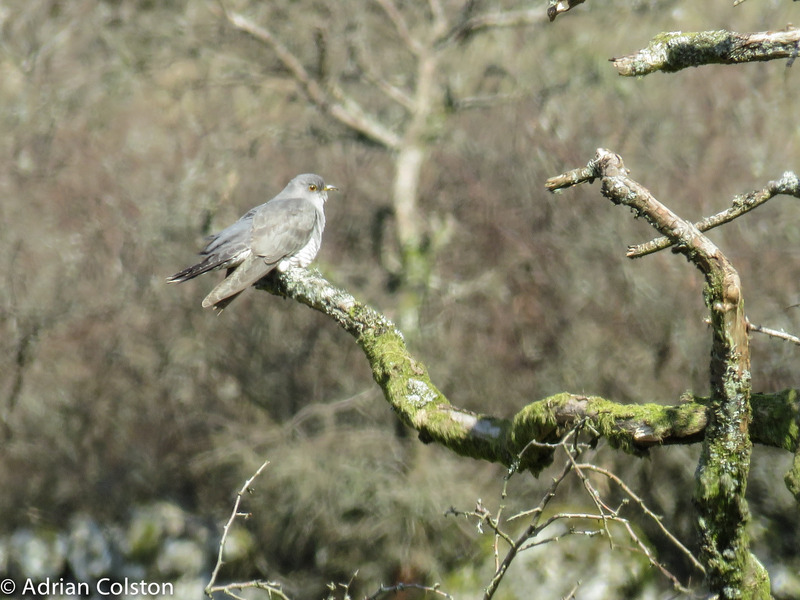 It certainly isn’t time to be complacent – yes Dartmoor has a strong populations of cuckoos but as my blog yesterday showed cuckoos have declined by 10% over the last 25 years. 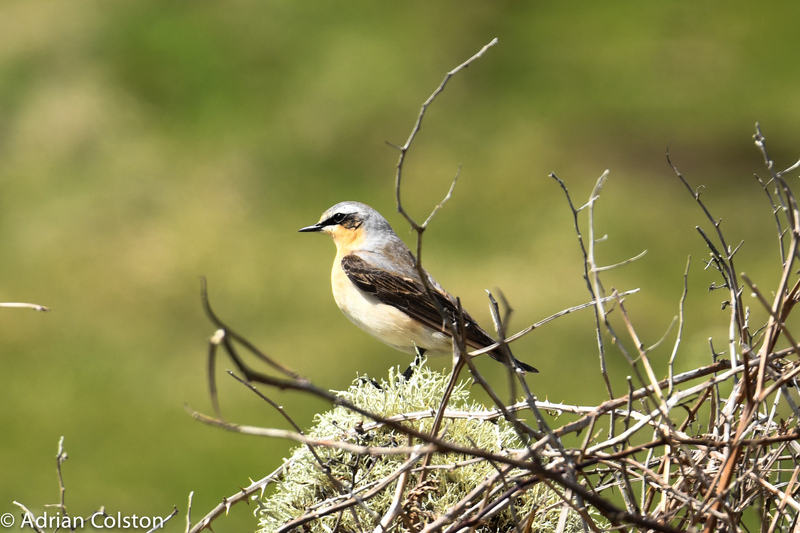 My blog also demonstrated that some parts of the moor are better than others for cuckoos. 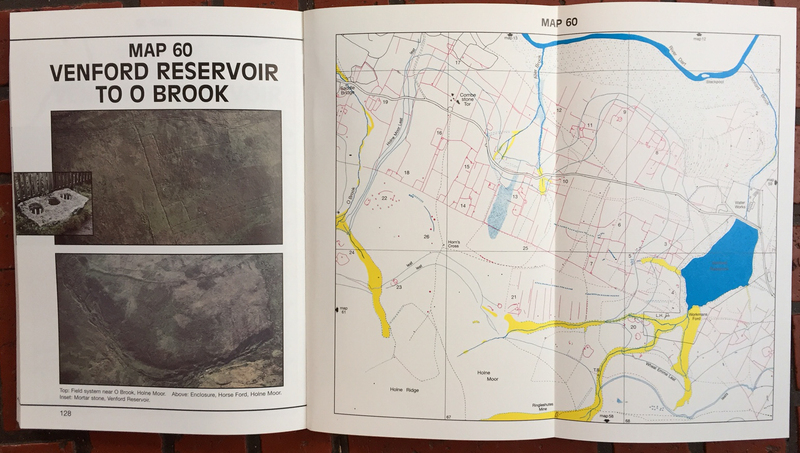 The 10km square SX67 is particularly good – it includes Two Bridges, Postbridge and Dartmeet – as every tetrad (i.e. 25 for the 10km square) had records for cuckoo. 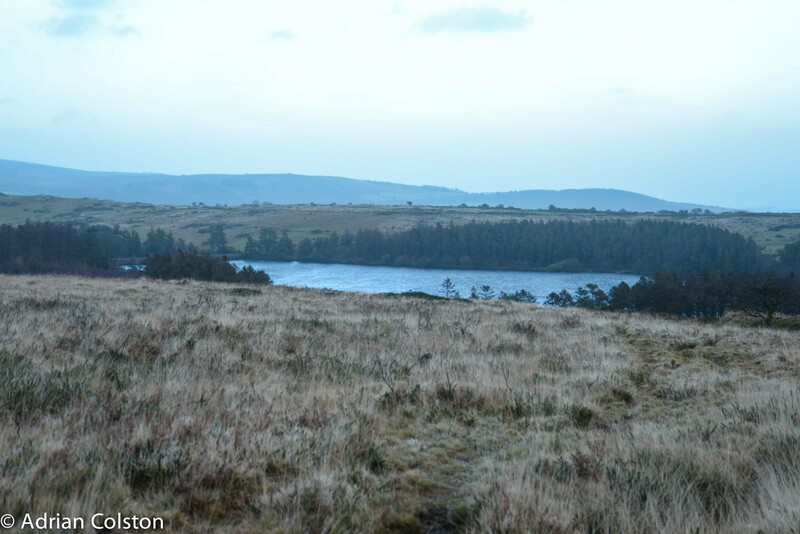 That area is diverse – there are areas of semi natural grassland, woods, bogs, extensive areas of heath and scrub. In the past the garden tiger would have been an important prey item for cuckoos on Dartmoor but I just don’t know how common or rare they now are on Dartmoor. 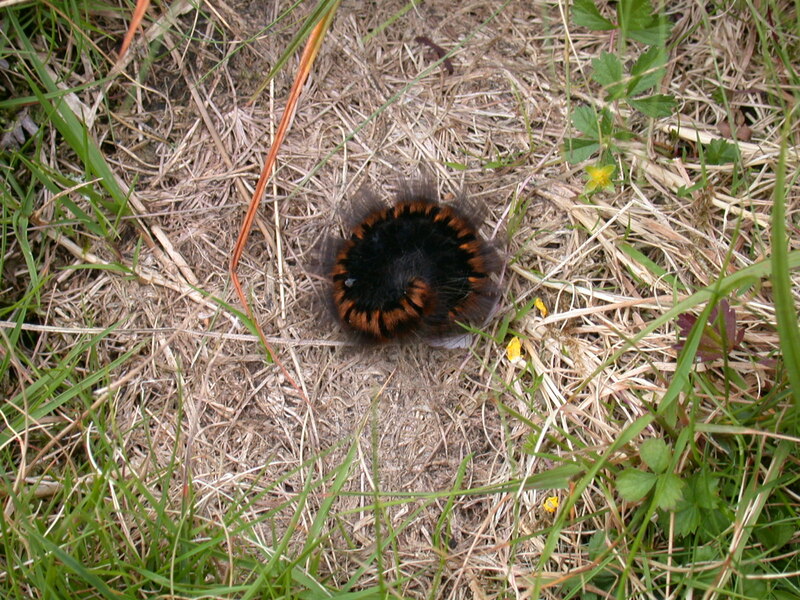 In the garden tiger’s absence the ‘big four’ caterpillars on Dartmoor which cuckoos are likely to feed on are the fox moth, the emperor moth, the oak eggar and the drinker. 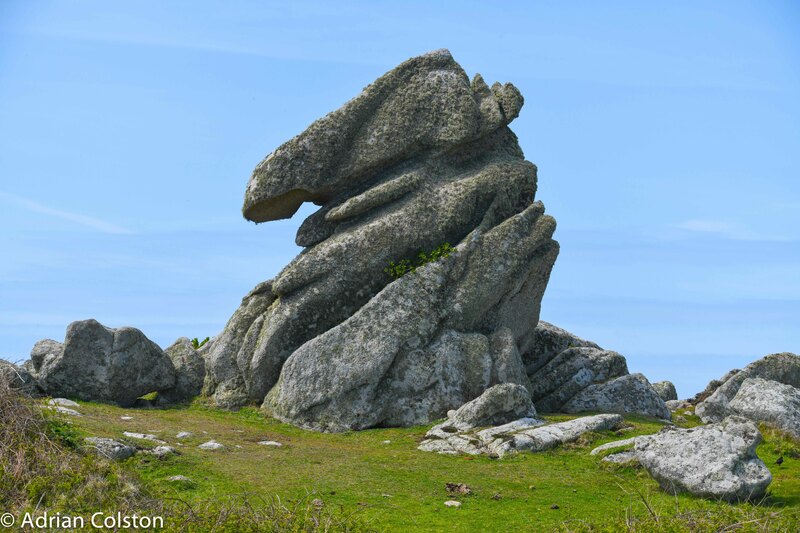 I say ‘likely’ because nobody really knows what Dartmoor cuckoos eat but these four species are large hairy and poisonous caterpillar which cuckoos elsewhere are anecdotally known to favour. The first three species of the ‘big four’ feed on heather and as I have written before (see here for example) that there are places on the Moor where heather is now much less common than it was before. 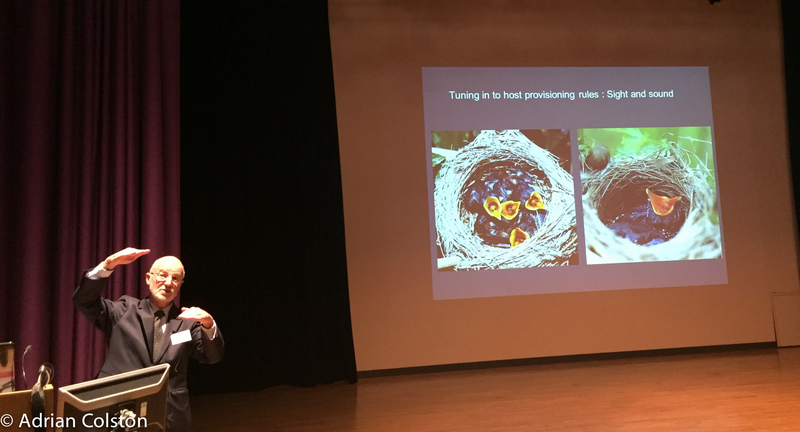 The message from Chloe Denerely’s work is clear – if there isn’t enough cuckoo prey (large hairy caterpillars) then cuckoos will disappear whether that is in the lowlands or the uplands. 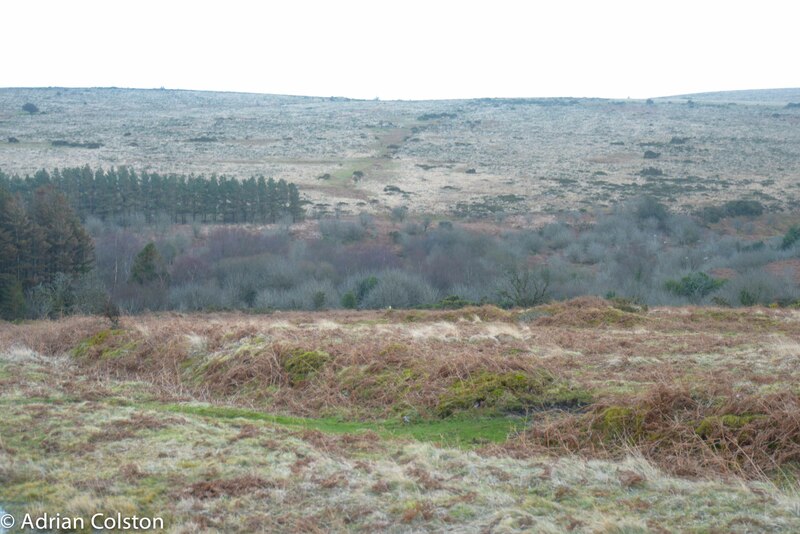 I very much suspect that the differences in cuckoo abundance on Dartmoor is driven by cuckoo prey abundance and that the condition of heather communities on the moor is inextricable linked to that. We really need some research into this topic and I have a feeling that is exactly what a researcher at the University of Exeter is now doing.